The specter of China surpassing the United States as an economic superpower was all the talk when President Obama visited Beijing in 2014. Today, China's economy is stumbling. Its stock market has shed 45% since June, and the country's extraordinary actions to get things going haven't been very successful. In short, China has lost some economic swagger. It gives the U.S. the upper hand -- at least slightly -- in negotiations this week. "The world is now saying -- what's going on over there [in China]?" says Derek Scissors, a scholar at the American Enterprise Institute who focuses on Asia. The U.S.-China relationship will always be one of co-dependence, at least economically. But China probably needs America more right now. Its economy is heavily dependent on making goods and selling them to other people around the world, especially the U.S. When President Xi Jinping meets Obama on Thursday and Friday, expect the White House to use any advantage to push hard on China to crack down on cybercrime and stop stealing U.S. corporate secrets. "We've been pounding them on the cyber issue," says former ambassador Stapleton Roy, who is now at the Kissinger Institute on China and the United States. "I expect something to come out of the summit on cyber." The bigger issue for China is that the country is undergoing a massive transformation from a cheap exports nation to one that is self-reliant on its middle class and innovation to drive growth. It's known as the "middle income trap." It's tricky. Many developing nations fail when they hit this stage. That's why there's such a fierce fight over China stealing U.S. intellectual property. That game plan works for awhile, but it won't power China's economy long-term. Chinese leaders understand this. In Seattle, Xi Jinping is trying to delicately dance with tech companies. He needs brain power, not just labor. He also needs to make reforms to the Chinese economy and markets, something he has been stressing in public statements at home and abroad. The old Beijing playbook of heavy intervention will have to change somewhat. The other issue America will probably bring up is the dollar-yuan exchange rate. It's long been contentious. China desperately wants its currency -- sometimes called the renminbi -- to be seen as a "global currency" on the same playing field as the dollar, euro and Japanese yen. China has long resisted allowing its currency to freely float against other currencies. But in surprise move in August, it lowered the value of the yuan 2% against the dollar. The move itself wasn't that far out of line with what the U.S. has been demanding. But China didn't do a good job of explaining the move -- and its timing. Investors in China and around the world panicked, thinking this was a last-ditch move by Beijing to try to salvage its stock market and economy by making Chinese exports cheaper. This set off a chain reaction around the world that caused stocks to plummet. The Dow to shed 1,000 points -- its largest intraday drop ever -- on August 24. "The whole intention of this [currency move] was perfectly reasonable. The implementation was completely botched," says Scissors, the AEI scholar. He thinks the U.S. will push China to open up more about its plans going forward. Experts who follow China have been warning that something like this would happen. Gordan Chang, a lawyer and author of "The Coming Collapse of China" has been arguing for years that the Chinese economy is too dependent on debt. "People are starting to understand the fragility of the Chinese economy," says Chang. President Xi's country is certainly not growing at 7%, as the government claims. The question on everyone's mind is just how bad is it? Chinese government statistics often aren't reliable. 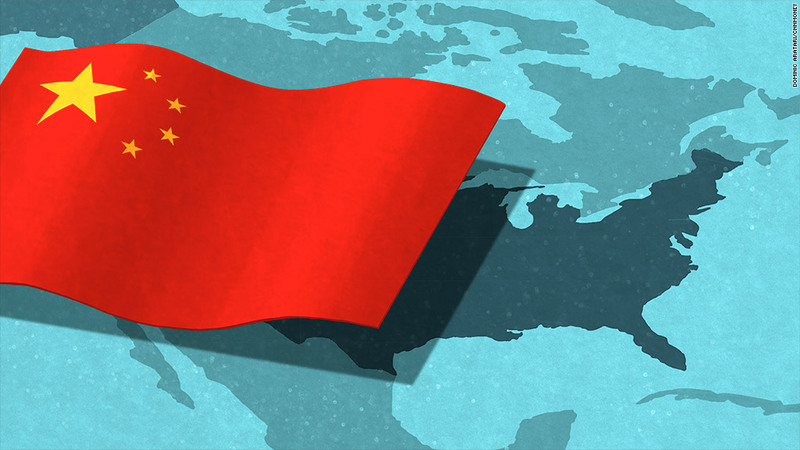 The July and August turmoil woke up Corporate America that China isn't going to be the place to make an easy buck anymore. "Perception shifted this year. All those people who didn't pay attention to China said, 'woah, woah. That's not what we thought was going on,'" says Scissors. Xi sounds confident this week, but it's clear there's been a shift in Beijing. The Chinese government is feeling the pressure. The next stage of China's great economic miracle isn't a given.